(WWETV Network) You know Venom had to write something on this historic day in hip hop history. The Los Angeles area laid to rest their son today. 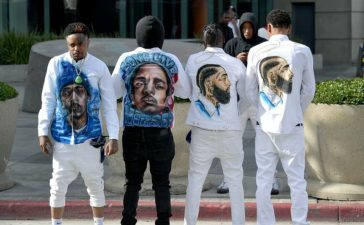 It was both sorrow and joy that occurred at the event to celebrate the life of community activist, business man, and hip hop star Nipsey Hussle. 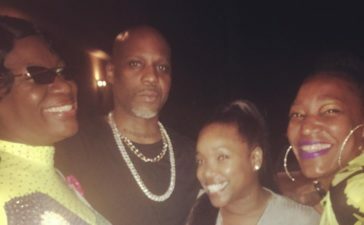 The stars came out to show their last respects to Ermias Joseph Asghedom. His life’s impact on close friends, the music industry, celebrities, and of course his family was put on display. 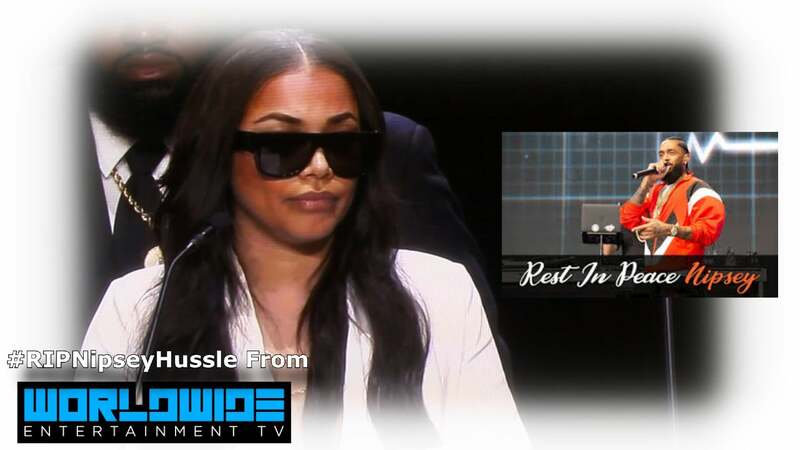 It was quite apparent the impact Hussle had on plenty of people that will never be forgotten. From the old to the young, it was touching to see the emotional release of joy and pain for someone who meant so much to his community. One of the pastor’s asked the question how in his memory that the last huge celebrity to have his last rituals in the Staples Center was none other than the greatest entertainer in history in Michael Jackson. The contrast of the record smashing and history making artist being shown the same respect as someone with only one Grammy only led him to believe he was a magnetic entity just as the Gloved One. When the 1st ever African American President in Barack Obama took time to memorialize you with a letter it only reinforces the reach his work extended to. He was more than just a Los Angeles native, but a son of America who represented the belly of the beast. The Muslim leader of the Nation Of Islam made reference about the mark of the beast and how Nipsey Hussle rose above the streets with his commitment to making his community better instead of falling victim to killing his fellow man and petty crime. Something that may have increased envy and his death from his assailant. Another elder statesmen in terms of the music industry for Black America is Stevie Wonder. He made an appearance and gave a speech that this moment in time he hopes will create change in gun laws in America and make everyone reflect on unity. 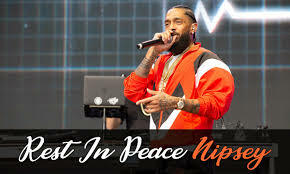 He performed for Nipsey Hussle a song that was a favorite of the artist. 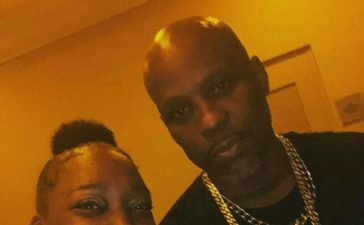 The family of Ermias Joseph Asghedom represented him in terms of letting the world know about his childhood, his devotion as a loving son, grandson, and brother. The mother stood strong and the father was tenacious in representing the best attributes of their son. His siblings brought a side to him that only they could convey seeing his rise from humble beginnings to a worldwide known artist. 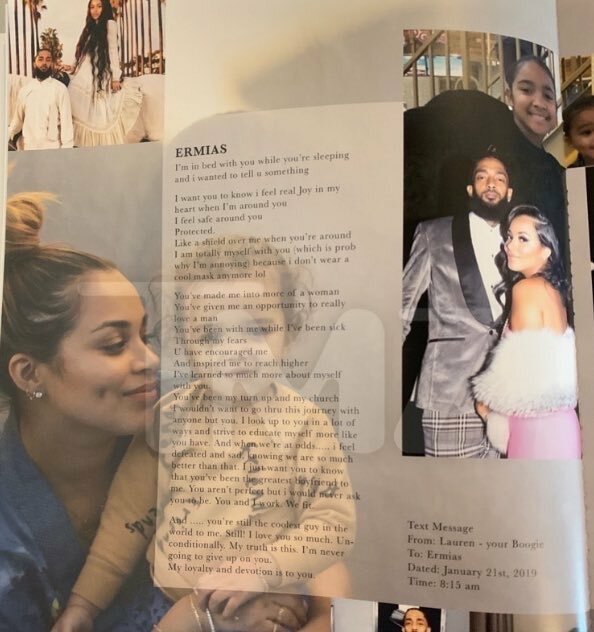 His girlfriend Lauren London was a strong source for the children of Nipsey Hussle. She wore sunglasses to hide her pain and illustrated in words how much she truly was inspired and loved Ermias Asghedom. Snoop Dogg gave an entertaining story about how an independent young artist took an approach to the game that was different than the other thousands of rappers that encounter him daily for a shot at fame and glory. Snoop also explained how much of himself he saw Nipsey Hussle and tried to show the younger LA rapper how he was a unifying force with his music. Snoop even showed how Nipsey Hussle in death has still awed him due to having Barack Obama write him a letter at his funeral. It was a powerful day for Los Angeles, hip hop, and the narrative of doing for your community and having that community come together in respect for your love of people. It was a day to remember and a moment in time that will be cherished by those in attendance. 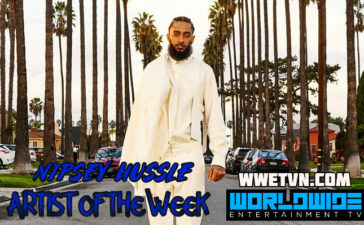 Watch the video tribute below from WorldWide Entertainment TV with the biggest moments from the Home Coming Celebration of Nipsey Hussle. 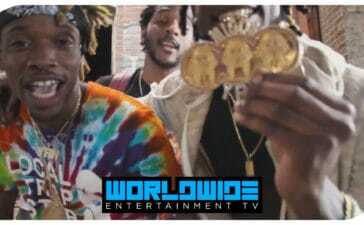 The Home Coming Event of Nipsey Hussle can be seen streaming on WWETV Network! 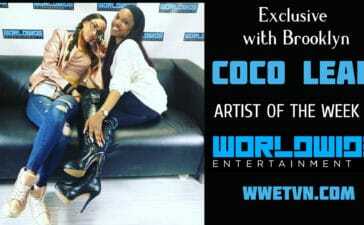 It has been the pleasure of yours truly, The Venom with another exclusive WWETV article.